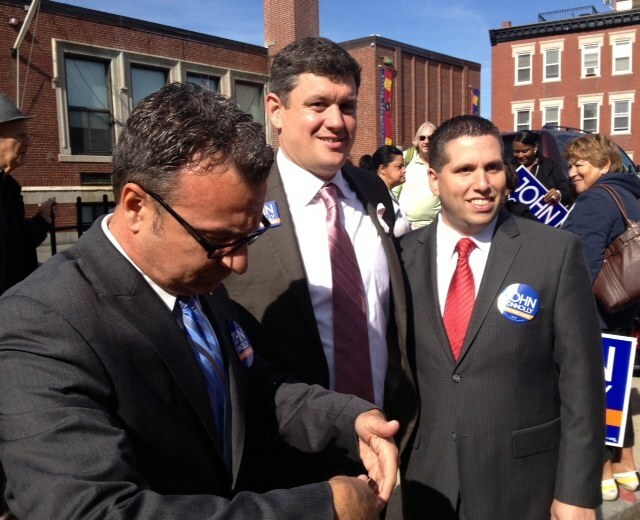 Today at 1:30 PM John Connolly received endorsement from two Sal’s : State Senator Sal DiDomenico, representing Charlestown and parts of Allston-Brighton, and District One City Councillor Sal LaMattina. 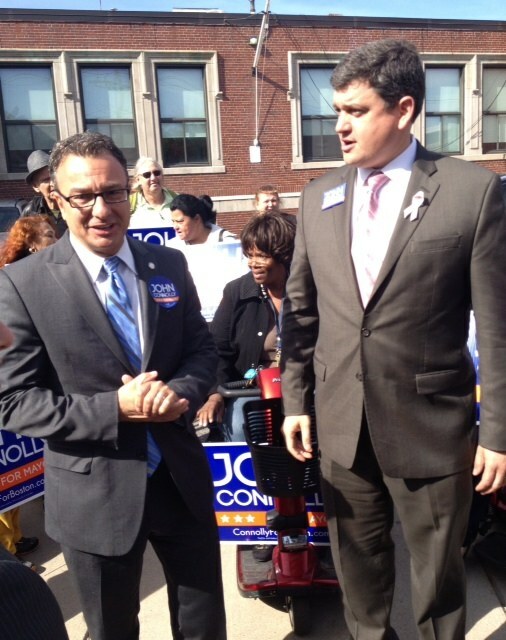 Aboard the Connolly campaign they join State Representative Carlo Basile of East Boston, former District One Councillor Paul Scapicchio, District Nine Councillor Mark Ciommo, the North End’s State Representative Aaron Michlewitz, Susan Passoni, and top Menino fundraiser Vinnie Marino of Roslindale. 1. Voters of Italian name continue to reside, chiefly, in most of the Boston places that their grandparents lived in : much of the North End; half of East Boston; Readville; one precinct of Ward 6 in South Boston; a significant scattering in Roslindale, Fairmount Hill, and West Roxbury; and a tight little area hard by Brighton Center, to which Italians from the region of Frosinone and San Donato came, three generation ago, to work in quarries. They amount to about 14 percent of all Boston voters. 2. Because the ancestors of most Boston voters of Italian name arrived in Boston later than the forbears of most Bostonians of Irish name, voters of Italian name still show some connection to ethnicity. 3. Since voters of Italian name proved strongly outnumbered by those of Irish name, the custom grew in Italian-name neighborhoods of backing for Mayor not an Italian candidate –who was presumed unlikely to win — but an Irish name candidate who would make a deal with the Italian communities — by way of their political leaders. Italian-name voters tended to vote as a family group; and, not knowing particularly well the Irish-name candidates — who almost always lived elsewhere in the city — they followed their leaders’ recommendation. More than once, the “block” vote in Boston’s Italian-resident areas won the Mayor’s office for the Irish name candidate -chosen by those leaders. It was stupendously true in 1959 — when Collins beat Powers -and importantly so in 1967, when Kevin White beat Louise Day Hicks. Scroll forward again to now. 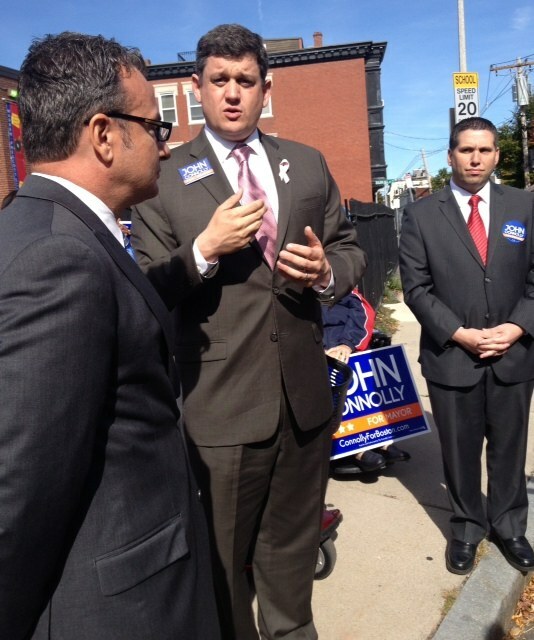 We have John Connolly and Marty Walsh. Walsh lives in Dorchester, far from any Italian-name neighborhood. John Connolly lives in West Roxbury, at opposite remove from most Italian-name sections of the City. It is a very 1959 situation. Yes, via social media and a flood of news sources almost every italian-name voter of 2013 knows at least something about both men. Yet few voters know them well. 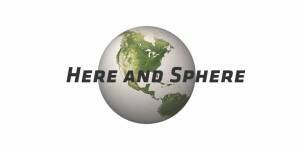 In this voting situation, sponsorship by a trusted local leader can still make a difference. One or two such sponsorings might not turn many heads in this the internet era; but six or seven leaders of same heritage banding together — plus an issue; in this case, school reform — surely will turn lots of noggins. There was an issue in today’s Sal and Sal endorsement. The event took place outside Charlestown’s \Warren Prescott school, and both Sal’s talked of their working together with Connolly on school reform agendas. Connolly’s band of Italian name pols may even arouse the really BIG Italian name I have yet to mention, a guy you are probably already thinking : Tom Menino, the only Italian-name Mayor that Boston has ever had. What will he do in this election ? Will he do ANY thing at all in it ? Did I say “just” the “italian vote” ? It matters a lot more than “just.” Come to the Columbus day Parade this Sunday as it winds through the North end, and you will see much. Come to the after-party at Filippo Restaurant (hosted by Philip Frattaroli, who was a City Council candidate this year). But most of all, think of the families that stand out. In Brighton, Salvucci, Mummolo and Cedrone; in the North End, Passacantilli, Anastasi, Coppola, Anzalone, Langone; in East Boston, Buttiglieri, Aiello, Aloisi, Mangini, Lanzilli, Faretra, Marmo. Readville : Scaccia, LoConte and Pulgini. Fairmount : Pagliarulo and of course Rob Consalvo. From Roslindale, Vadala, Iantosca, and Ferzoco; from West Roxbury, Settana. And the Iannella’s…. So what’s it all add up to ? Pretty basic if you ask me. Yes, the race between Walsh and Connolly is turning into a battle of economic classes (as we all knew it would be). But not every Boston voting bloc identifies by economic class. The “Italian vote’ has almost always — as my list above shows — identified by family and neighborhood. John Connolly is smart to pursue, in this matter, the strategy that won the 1959 race for John Collins and the 1967 race for Kevin White. Come to think of it, Kevin White looked a lot like Connolly, lived in the same area, pursued a “new Boston vision” just as Connolly is doing, talked the language of “downtown,” and — again like Connolly — came from a family long involved in Boston politics. And had the good sense to court East Boston’s Mario Umana. For the Kevin White of 2013, it’s “so far, so good.” Only 26 days remain until we know if it’s good enough.